This spacious room is located on the northwest corner of the house and is positioned to take advantage of some of the beautiful sunsets we have here in southern Pennsylvania. 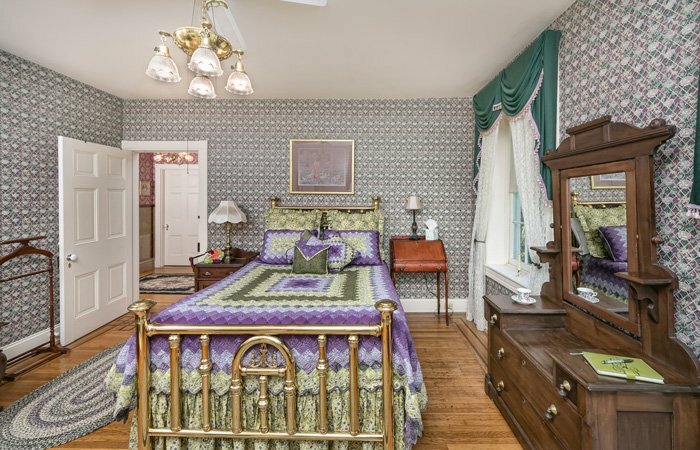 The bedroom features a comfortable queen Antique Brass Bed and vintage Victorian furniture. The six ft windows overlook the gardens located at the rear of the property. We've named many of our rooms after the Emig Family members, Belle is one of John and Sarah's daughters. As you sit in the large window seat that completes the ambiance of this room, you'll enjoy the views of the hillside meadow and maybe some thoughts of how Belle and her sisters enjoyed life in this beautiful Victorian home. 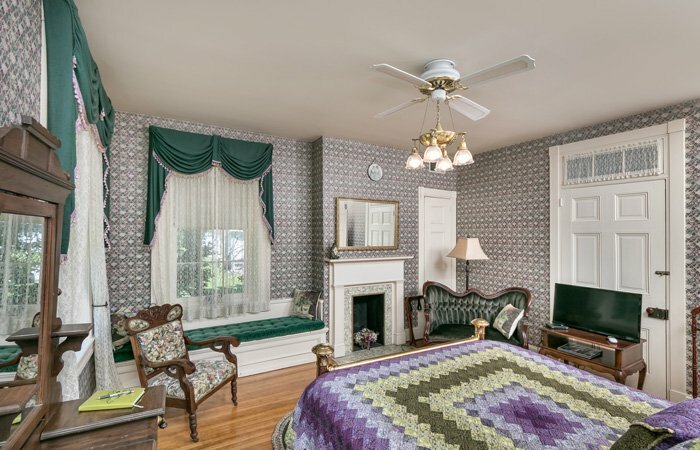 This room also features a lovely marble tiled fireplace, wooden floors with expertly crafted trim designs, period appropriate braided rugs and beautiful era correct wall coverings. A truly beautiful room and a favorite of many guests! !